The Income Tax Act, 1961 provides various exemptions to salaried class apart from deductions such as LIC premium, housing loan interest etc. While deduction is something reduced from a total taxable income, exemption means an exclusion from total taxable income. Such exemptions enables the employers to structure Cost to Company (CTC) of employees in a tax efficient manner. 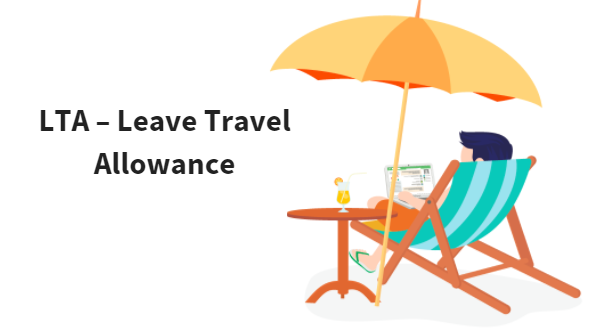 One of such exemptions available to salaried class under the law and also widely used by employers is Leave Travel Allowance (LTA) /Leave Travel Concession(LTC). LTA exemption is also available for LTA received from former employer w.r.t travel after retirement of service or termination of service. Let’s understand in detail about leave travel allowance. What is Leave Travel Allowance(LTA)? As the name itself suggests, it is an exemption for allowance/assistance received by the employee from his employer for travelling on leave. Though it sounds simple, many factors need to be kept in mind before planning the travel for the purpose of claiming LTA exemption. Income tax provision has laid down rules with respect to claiming exemption of LTA. Let us understand conditions/requirements for claiming the exemption. Exemption is available only on the actual travel costs i.e., air, rail or bus fare incurred by the employee. No expenses such as local conveyance, sightseeing, hotel accommodation, food etc are eligible for exemption. Exemption is also limited to LTA provided by the employer. For example if LTA granted by employer is Rs 30,000 and actual eligible travel cost incurred by employee is Rs 20,000, exemption is available only to the extent of Rs 20,000 and balance Rs 10,000 would be included in taxable salary income. 4 Journeys performed by air Amount is restricted to air economy fare of the national carrier(Indian Airlines or Air India) by the shortest route to the place of destination. II. Can LTA exemption be claimed on every vacation? No, LTA exemption is available only for two journeys performed in a block of four calendar years. Block year is different from financial year and is decided by the Government for LTA exemption purpose. It comprises of 4 years each. The very first 4-year block commenced from 1986. List of block years are 1986-1989, 1990-93, 1994-97, 1998-2001, 2002-05, 2006-09, 2010-13 and so on. The block applicable for the current period is calendar year 2018-21. The previous block was calendar year 2014-17. Procedure to claim LTA is generally employer specific. Every employer announces the due date within which LTA can be claimed by the employees and may require employees to submit proof of travel such as tickets, boarding pass, invoice provided by travel agent etc along with the mandatory declaration. Though it is not mandatory for employers to collect proof of travel, it is always advisable for employees to keep copies for his/her records and also to submit to employer based on LTA policy of the company/to tax authorities on demand. Income tax provision provides exemption w.r.t travel cost incurred on leave to any place in India. Conditions w.r.t mode of transport also makes reference to place of ‘origin’ to place of ‘destination’ and route must be shortest available route. Hence, if an employee is travelling to different places in a single vacation, exemption can only be availed for travel cost eligible from place of origin to farthest place in the vacation by shortest possible route. Many organizations that go strictly by the wordings of the income tax provision are allowing employees to claim LTA only if employee had applied leaves and travel during that time. Such organisations may reject LTA claim for travel on official holidays or weekends.